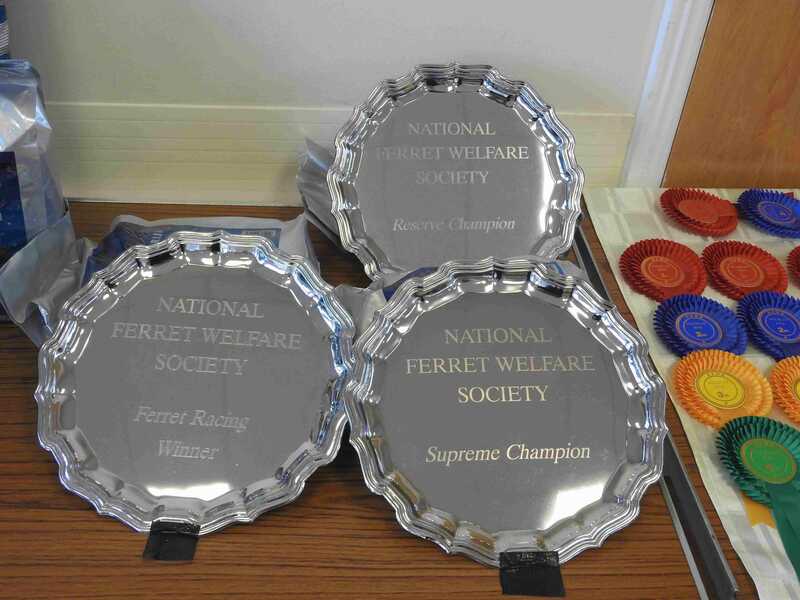 If you've arrived at this page seeking the NATIONAL FERRET WELFARE SOCIETY, NFWS in abbreviated form, then you've arrived at the right place. Most pages have been updated, but if you notice an error please let us know. Meanwhile some useful contact details are set out below. The AGM will be held at The White Hart, STOKE, Andover SP11 0NP (Off B3048) starting at 3pm. NFWS OPEN SHOW 2019, 24th March at Chieveley Village Hall RG20 8TE. It has come to the attention of the NFWS there are changes afoot in animal legislation for England. The Animal Welfare Act 2018, https://www.legislation.gov.uk/ukdsi/2018/9780111165485 , comes into force on the 1st October 2018. The NFWS is looking into the ramifications of this legislation regarding clubs, organisations and individuals. Some individuals may need licences, if trading income is over Â£1,000 per financial year (Not profit but trading income). For example, if you breed ferrets for sale (classed as a business) then you may well go over this Â£1000 limit and so need a licence. It may be possible that any one of you will need licences. Section 6 Part 10 is where most of you may be affected. You will need to contact your local Authority Licensing Team, to check where you fall within these new guidelines. You do need to check. If you would like to contact us with your Local Authority decision that would be great, as of course NFWS members are spread across England. We can then pass on the relevant information to your fellow members, or if needed lobby for a rethink. Please note that the Regional Governments for Wales, Scotland and Northern Ireland may issue their own legislation on this topic. UK membership the subscription for 12 months is £12.00 for Individual members, £18.00 for Family membership and £7.00 for Junior (under 16 years). Affiliate membership Organisations with 1 - 25 members £35.00 plus £13.00 for every extra 25 members or part thereof.